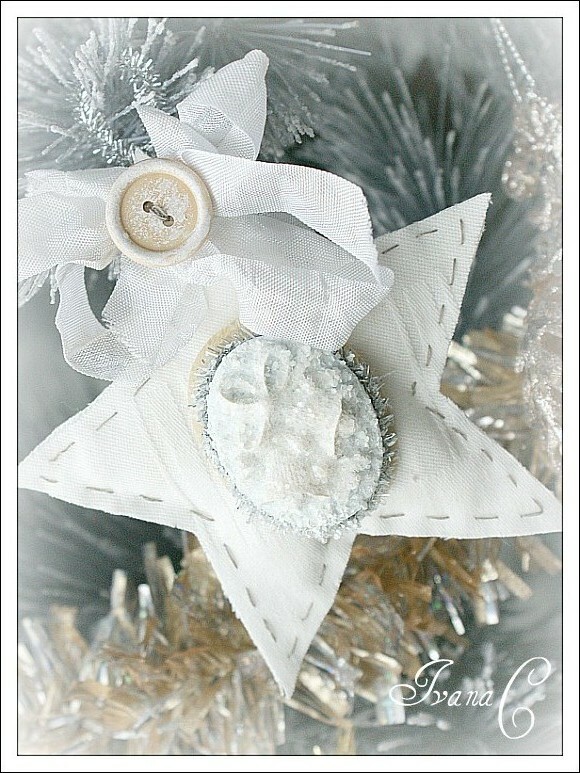 I have been busy creating Xmas decor for the past little while...Did you see my shabby banner in the post below? I thought I would continue with the trend and whip up some decorations for my tree as well! Today, I will share a few ornaments I've created, using ordinary household items and how I've dressed them up with some of my favourite Webster's embellishments! Can you tell which ornaments are handmade? I know, you probably can, but I just wanted to share this pic as I couldn't believe how fun and easy it was to create ornaments that would fit my theme so perfectly...Ornaments that I could not find anywhere else! If you still can't tell which ones are handmade, here they are - all close up and personal! 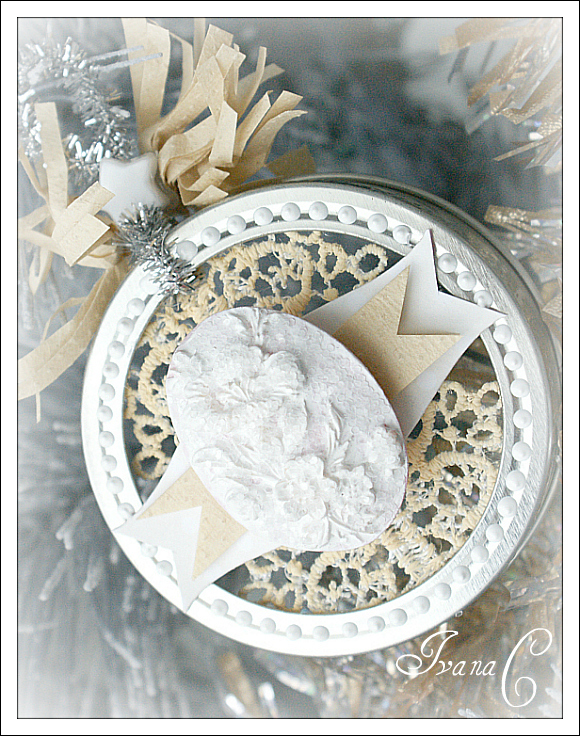 You can find this post on the Webster's Pages blog today - along with more beautiful ornament ideas from DT member Stacey! Check it out right here! Remember how I said I used basic household items to create these? 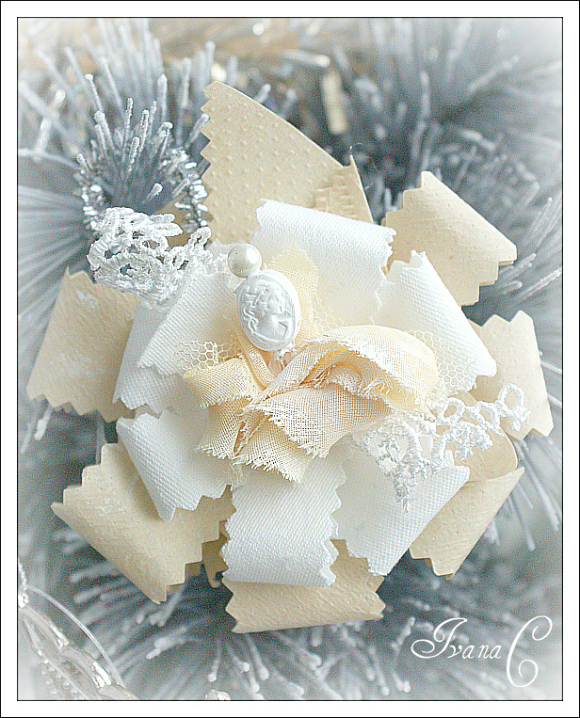 The first ornament features a flower-like bloom that I created from unbleached coffee filters. Along with some help from Webster's bloomers, push pins and crocheted lace, it was a total snap to put together! For this ornament, I scavenged the house and found an old cotton serving napkin - One that had lost all it's companions somewhere along the way...But not it's charm! With no need for just one, I thought I'd make better use of it! So I traced two identical star templates, cut them out and created a little hand-sewn star! Oh and here's the kicker - As you know, I am not very sew-savvy, so unless I wanted to tear apart one of my beloved pillows, I knew stuffing for this star would be impossible to find in my home...So what did I use? 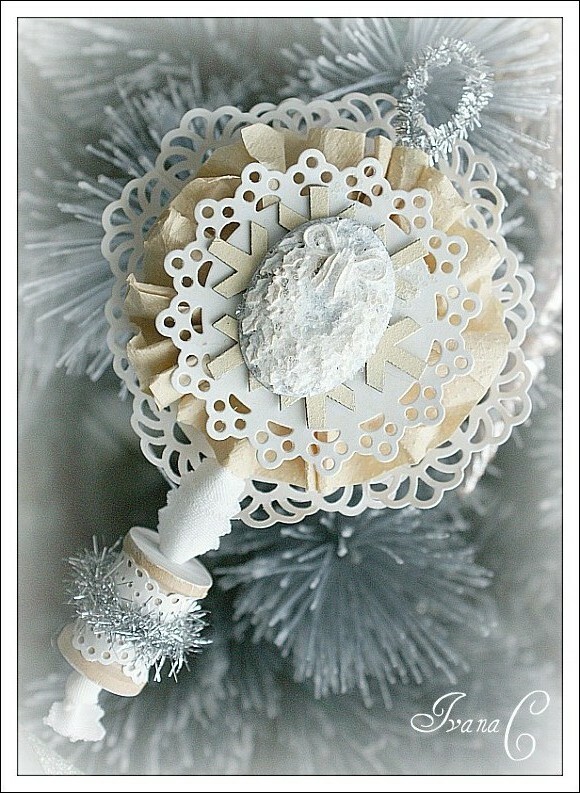 To top off my ornament, I used a combo of tinsel trim and another pretty cameo silhouette! Lastly, I added in a few more household elements for this ornament, like a coffee filter flower, wooden spool and some more of the beautiful fabric from my napkin, combined with a cameo from Webster's Pages and their beautiful, sparkly, tinsel trim! With the weekend fast approaching, I hope this inspires you to create some ornaments yourself! Wouldn't they make the loveliest gift? Beautiful ornaments! The tree looks gorgeous! WOW Amazing! This is just gorgeous and each one so beautiful! Wow, these are soooooooo amazing girl! Wow....your ornaments and your tree are simply stunning! So very beautiful. Thanks for sharing. You really need to have a store! 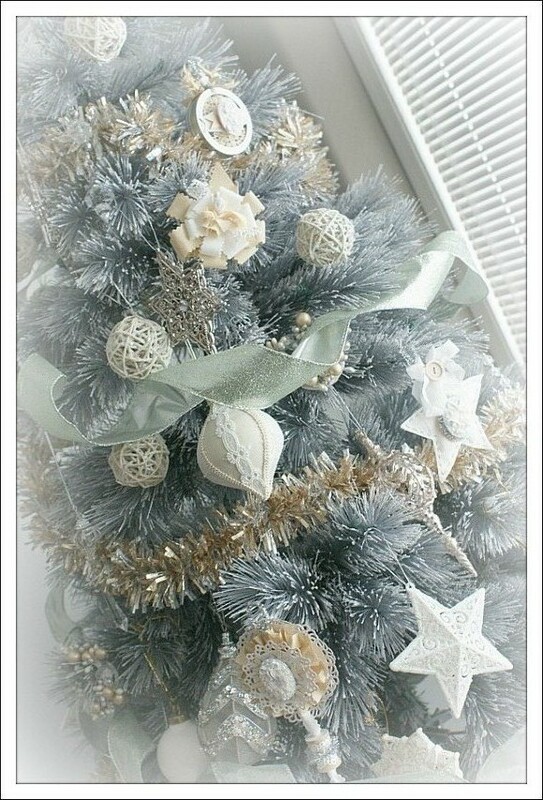 :) These ornaments and just they way you designed your tree is so fantastic and artistic. Love it. Have a nice Thanksgiving!